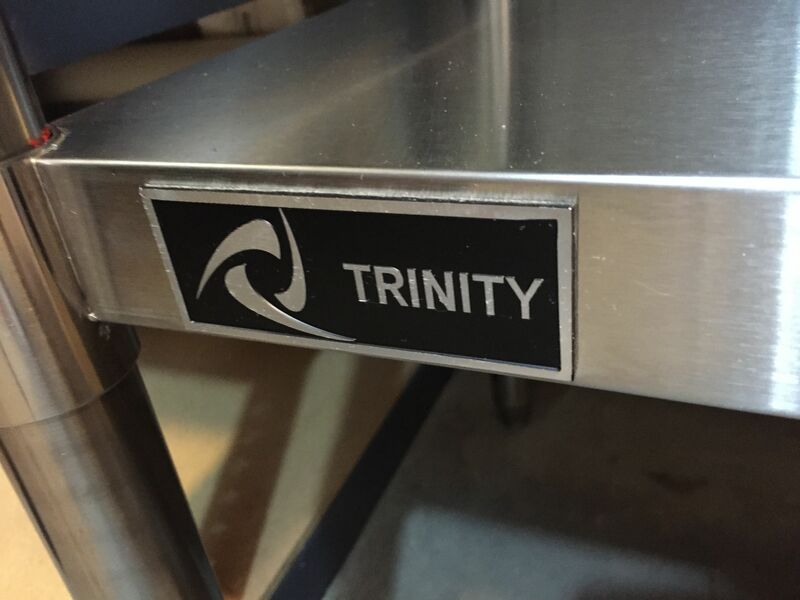 I picked up Trinity’s EcoStorage Stainless Table toward the end of 2014. 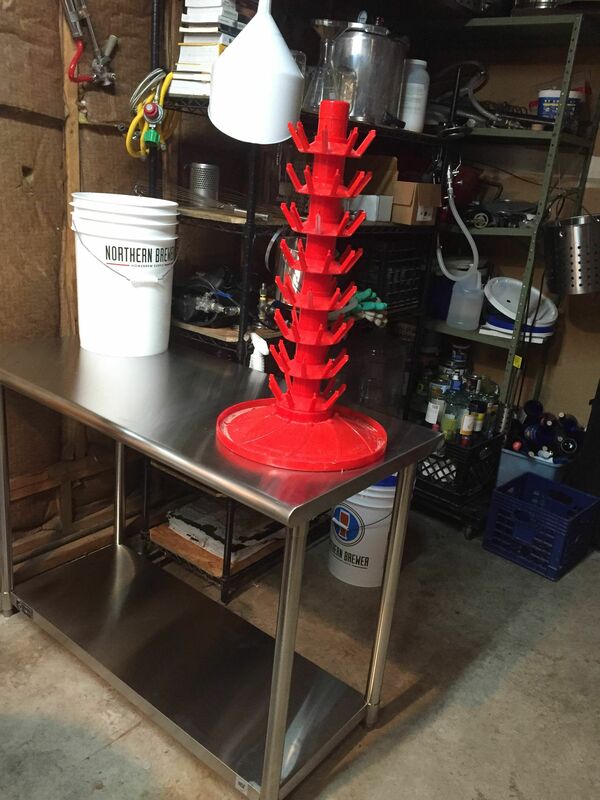 I wanted a sturdy, easy to clean table for around the brewery tasks and storage. 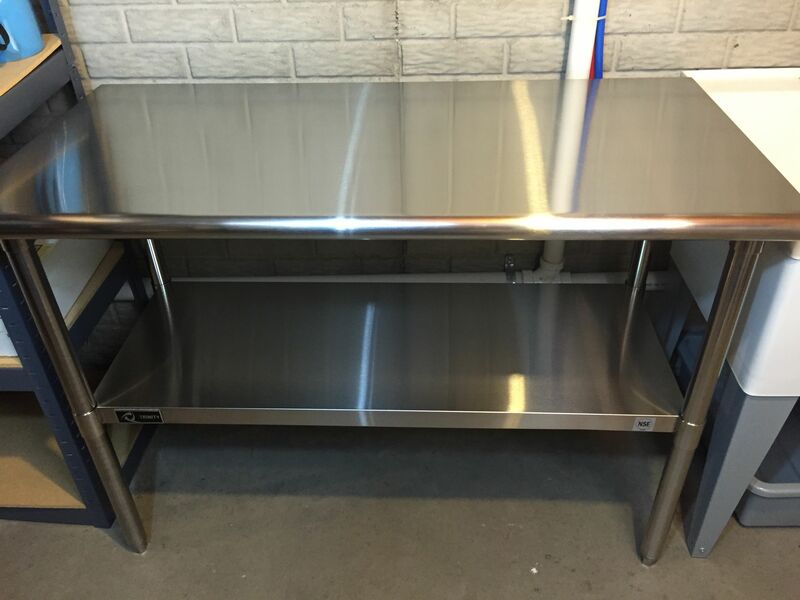 This table is all stainless construction, NSF certified, has 150 lb capacity per shelf, features adjustable feet levelers and the shelf is fully adjustable. 48″ wide, 35.5″ tall, 24″. 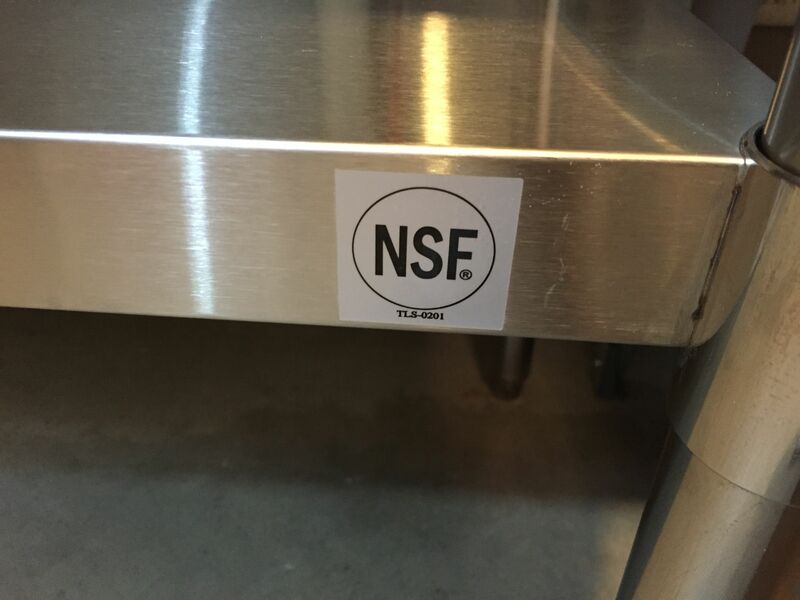 NSF Certification sticker. 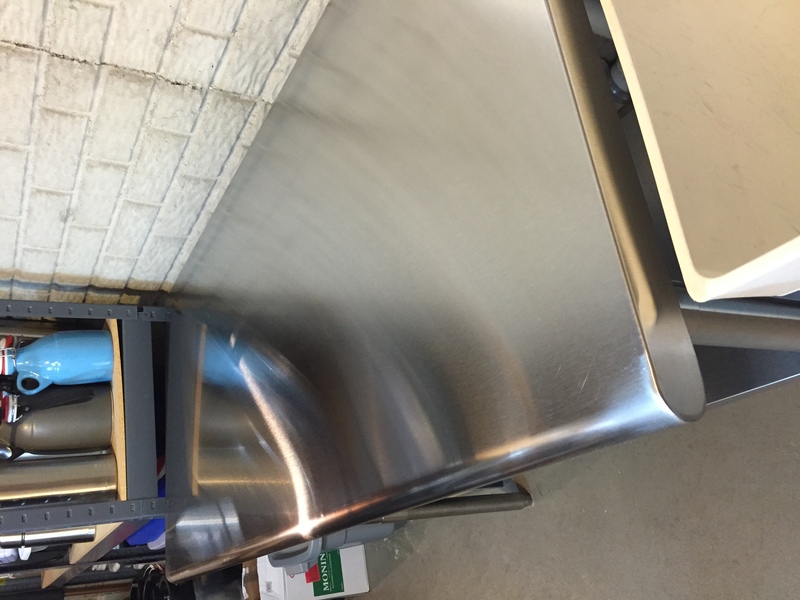 The stainless surface table top can be cleaned and sanitized. A storage rack on the left and my Utilatwin sink on the right. After adjustment, this ended up at a good height next to my sink. A couple inches higher. A good height to set things as they are cleaned. 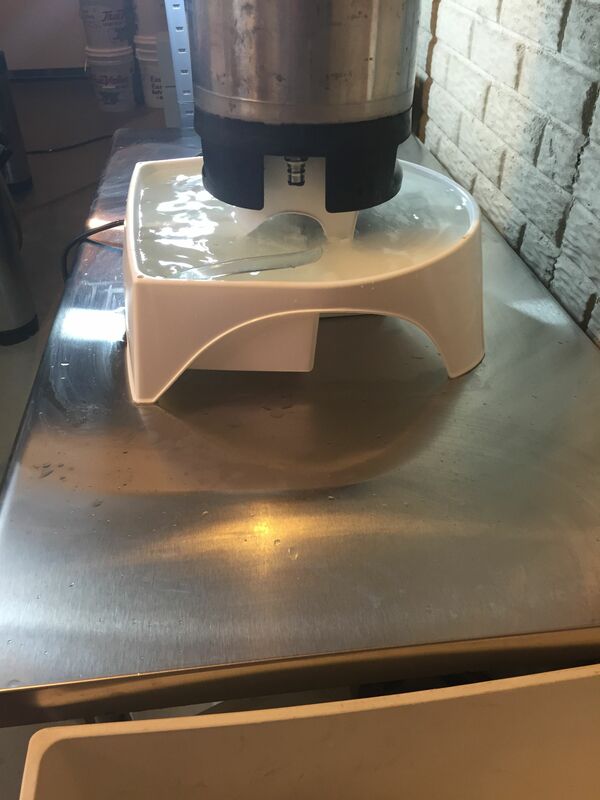 Works great with my Keg and Carboy Washer [Review]. It’s nice have an easily cleanable surface and having this right by my sink makes it easy to fill and empty things like the Carboy Washer. I originally heard about this table from HBF Reader [8 Ways to Connect with HBF] Jeff. Jeff purchased it himself and shared some pictures and feedback Thank you Jeff! Reader Photo: Underside of the bottom of the table. Reader Photo: Bottle tree and bucket sitting on top. This is a well built heavy duty table. The all stainless build also looks great. I’m glad to have it for storage, as a general work area for brewing tasks and more. This is a great table! 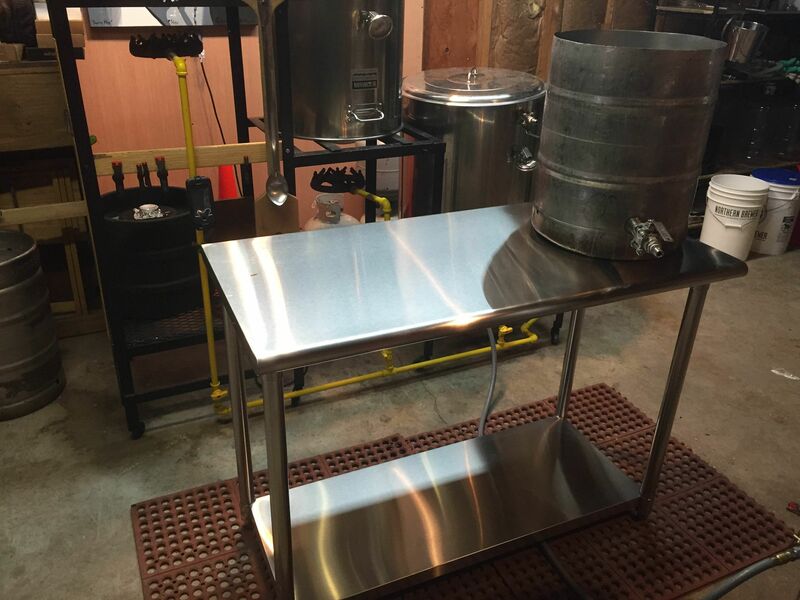 Although mine isn’t in my brewing area, this would also make a good brew day work table too. This entry was posted in Amazon, Containers, Featured Reviews, HBF Tested, Organization, Reader Feedback, Reader Photos, Reviews, Reviews & Top Posts, Shelving, Storage, Work Tables on August 24, 2015 by admin. The site says 150lb max capacity. I feel like that’s not enough for a brew table… Am I wrong? I feel like water, kegs, grain, ect would weigh much more than that. I’m also curious about that as use for a brew table. Did you receive a response or any clarity if it’s a good brew table? I have the 24″ model that I have turned into a grain milling station and have to agree these tables are AWESOME! If you have a Costco membership the 24″ is cheaper there and will ship free. I’ve used my table consistently since purchase, multiple times a week for brewing, bottling, cleaning, food table for parties, etc. Six months later, there is no question in my mind that this table was worth every cent!